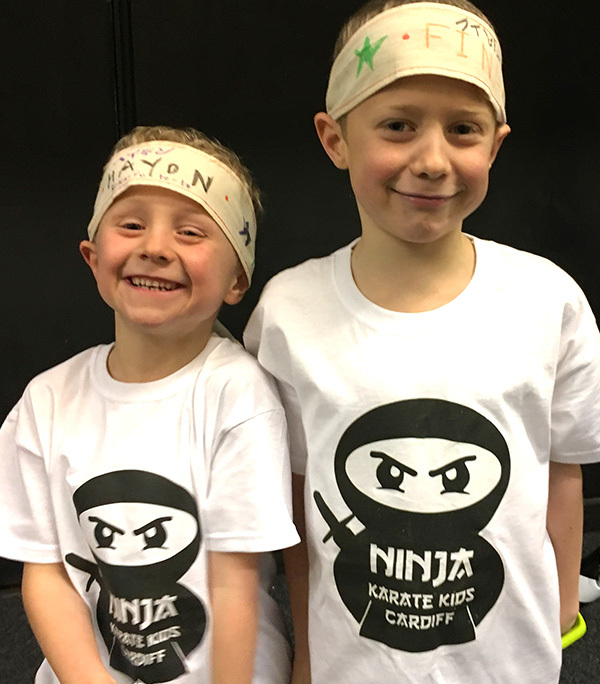 Be a ninja for the day with our fantastic Birthday parties! Your child and their friends will love being little ninjas and have a birthday to be treasured and remembered for years to come. What happens at a Ninja Party? 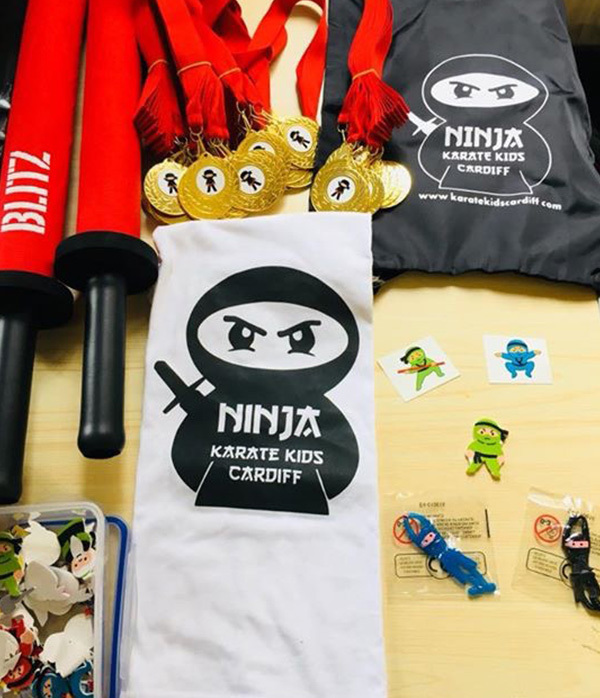 Everyone will learn the fundamentals of being a ninja, such as speed, focus, and strength at the Cardiff birthday event! Sensei Emma a karate black belt, master of fun, leads your childs special day; she has years of experience of working with young children. She may also be ably assisted by 1-2 assistants (depending on how many children are attending). 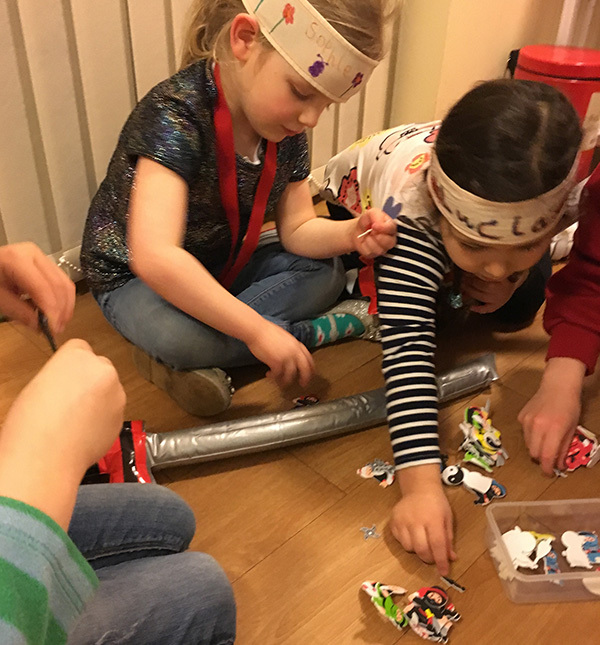 To begin, all trainee Ninjas will design their own headbands to use and keep (little ones will be helped/supervised). We all do a few brief warm-up exercises before going through the ninja moves: Punch! Block! Kick! The birthday child is the focus of attention as the special Sensei for the day. 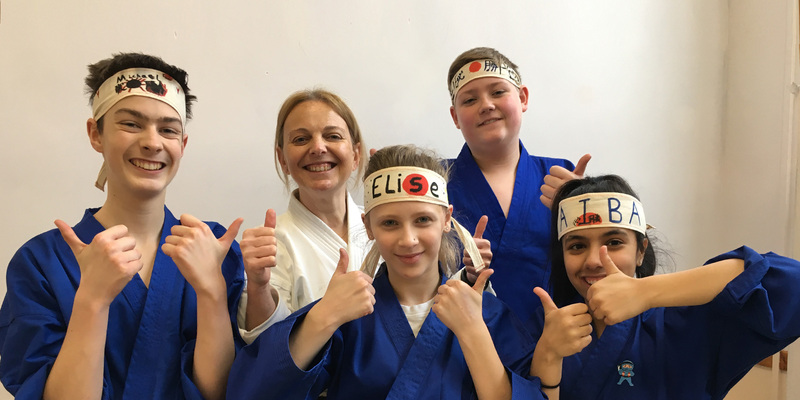 The trainee ninjas will then test their skills with Sensei Emma and her assistant(s) who will be holding the foam pads & blockers. This is the moment when all eyes turn to the birthday child. As the candles are blown out, Sensei Emma allows the birthday child to use her Samurai Sword to cut the cake (don't worry, it's not a live blade). Cameras at the ready! 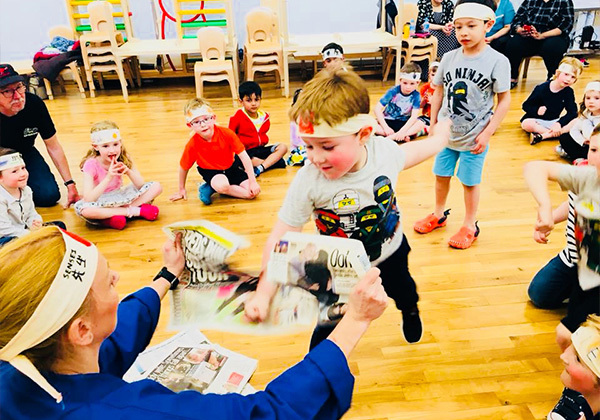 All ninjas will have lots of fun with Sensei Emma as they tackle sparring and punching through paper – how many sheets can you break through? They will also battle their way through various birthday games. 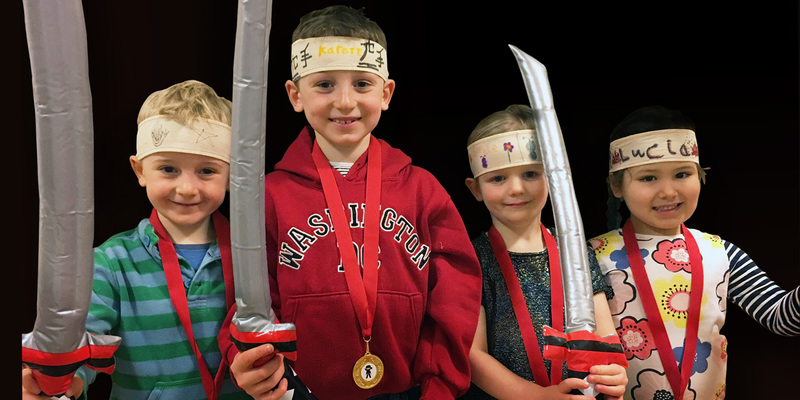 kid's ninja themed birthday party Party Play time! Party Play time! When can I book my birthday party? Parties need to work round existing karate classes, so please call to check availability and book early to avoid disappointment! Where can birthday parties be held? Who can have a birthday ninja party? 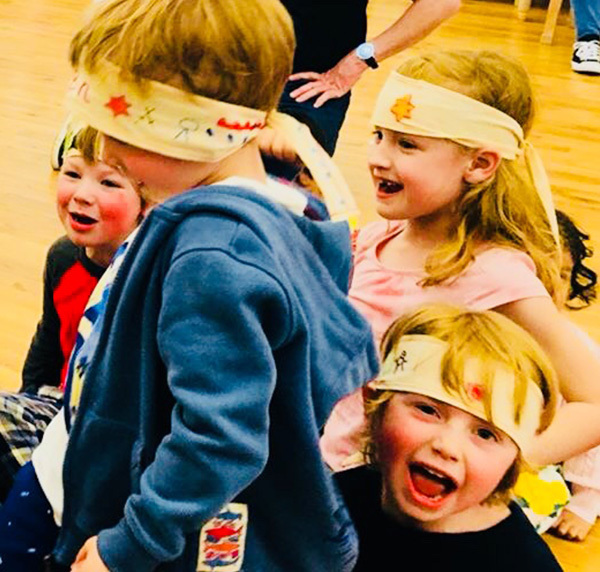 All ninja parties are tailored to the ages of the children from 4 years upwards, giving them different challenges depending on their age and ability. 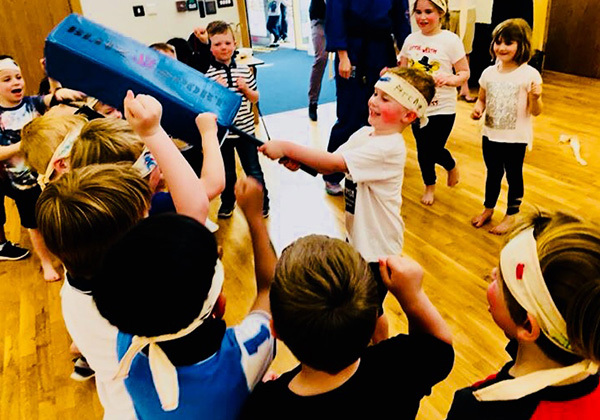 We offer age-related packages for children up to 7 years old, featuring lots of games, exciting competitions and loads of fun, showcasing unique ‘ninja skills’ for everyone to enjoy. It is easy for everyone to get involved, parents will also love the chance to join in. What to wear at the ninja birthday event? Ninjas should wear comfy clothing and can go bare foot or wear suitable footwear (i.e. trainers or pumps). Each additional child is £5 per child. A £30 deposit secures your booking. The balance can be paid on the day of the party. Ninja medal £3 per child. Ninja T shirt £5 per child. 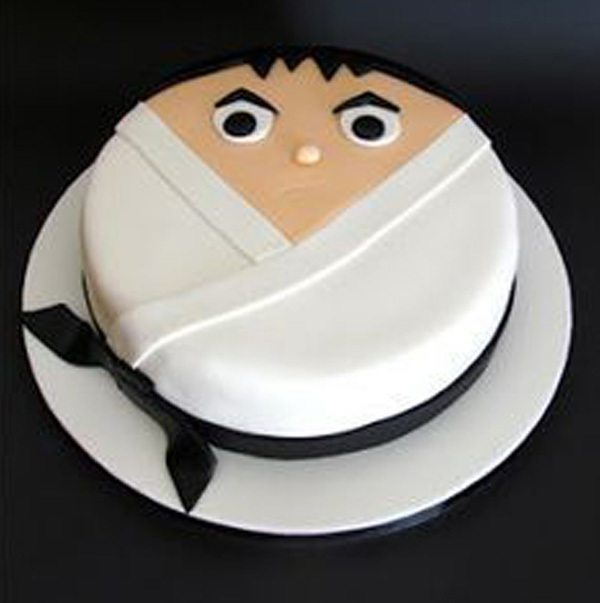 Children's party ninja cake! Ninja T-shirts! Our aim is to give you the very best entertainment, allowing you to focus on the birthday tea and party bags! We will then call you to discuss availability and your requirements. Further to this, we will send you a booking form. * Please give at least 48 hours’ notice if you wish to cancel your party in order to avoid losing your deposit.